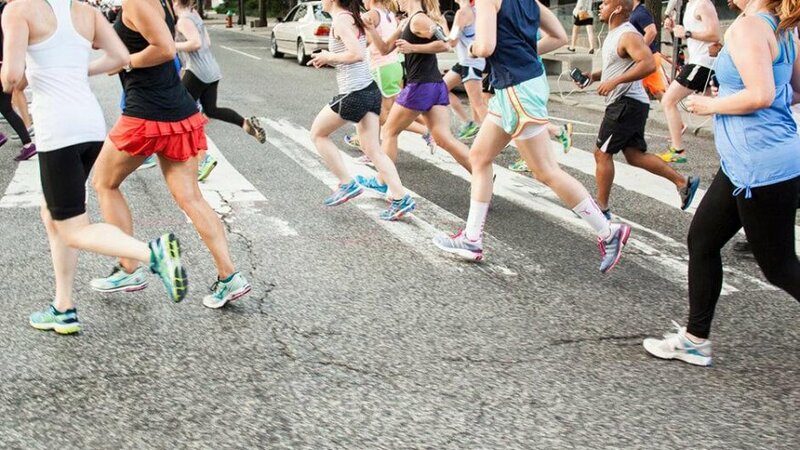 Look around at your fellow runners before the start of your next road race. Usually a few people will be jogging around, limbering up, and stretching. 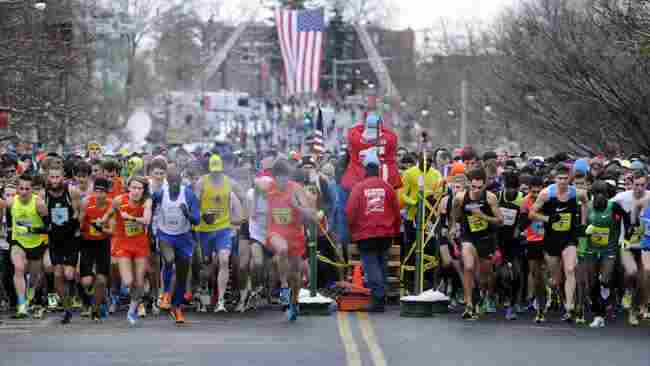 But chances are, many runners will show up to the start and first begin running when the gun goes off. Maybe it seems counterintuitive to run more before you even start. Trust me: the ones warming up aren’t crazy. They know that getting in a proper warm up before racing helps you run faster, feel better, prevent injury, and recover more quickly from the hard pace of racing. How does a warmup benefit me? Warming up for 15 to 20 minutes has been shown to increase body temperature by two to three degrees. 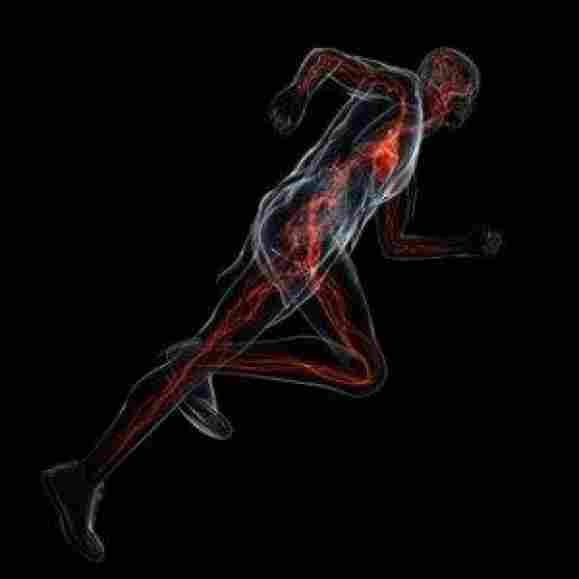 This changes the partial pressure of blood gases, allowing more oxygen to enter muscle tissue. Increasing circulation prior to the race brings nutrients and oxygen to your muscles before you even start, so you skip that phase when you begin the race. Running itself is an active form of stretching. Running easily before you start racing helps get all the kinks and tightness out of your limbs, so you don’t waste time during the race loosening up. Sometimes you aren’t in the most positive or confident frame of mind before a race. Getting moving helps release positive endorphins and promote blood flow to your brain. Easing into fast running with a warm up reduces the overall stress placed on your body during a race, dramatically reducing the chances of injury to your muscles, ligaments, and tendons. When it’s chilly out, warming up is imperative. Muscles perform less efficiently and are more susceptible to damage when they are still cold and tight. When the weather is especially hot and/or humid, you might consider shortening the length of your warm up to prevent overheating prior to the race. Even in hot weather, however, some form of movement should be performed before the race starts. Practice constantly sipping sports drink and water throughout the day and on race morning, especially when the weather is warm and humid. Irrigating your muscles helps them perform more efficiently and makes them far less susceptible to straining or pulling. What clothes you wear during your warm up goes hand in hand with the conditions. My rule of thumb is that if it’s below 50 degrees, you should be wearing long pants or tights for the entirety of your warm up sequence. It’s better to overdress in cold weather, because you can always take clothing off. It can be difficult, especially at large races like marathons, to find the space and time to go through the full warm up sequence outlined below. You might be corralled for a long time before starting, for example, and have little space to warm up in. Check the race website and your race packet for information on start times, warm up areas, and what you can expect on race day. A proper warmup is worth doing your homework for! Arrive at the race area early to be sure you can find the time to warm up. If the race is in the morning, your warm up begins when you arise. Ideally, you want to be awake at least three hours before the race starts. Be sure to move around the house or hotel to promote wakefulness. Begin your warm up run about 45 minutes before the scheduled start of your race or wave. The length of this run should depend on the race length and your level of experience. In general, the shorter the race, the longer your warmup run should be. Of course, if you’re new to running, an easy five minutes of alternating between walking and jogging can be sufficient to prepare your body to race. The important thing is that you move. Your warmup run should begin very easily, almost at a shuffle, and gradually increase to a moderate but comfortable pace. Chances are your warmup run might have made nature call, so this is a great time to use the porta-potties. Once your muscles are warm from the run, do some light stretching. Pre-race stretching should be mostly dynamic, or movement based, as opposed to static, or held stretches. Alternating between reaching for your toes with straight legs and reaching for the sky every few seconds, walking quad stretches, and leg swings against a wall are all great warm up stretch routines. The idea is to increase the range of motion in your stride in preparation for race pace. Strides are very short, 10 to 15 second runs at your race pace or faster. Find an open spot on a side street near the start line area where you have room to run back and forth. Take about a minute break between each short stride and do between two and six of them. Strides serve the purpose of increasing your heart rate and additionally opening up the range of motion in your hips and legs. Ideally, time your strides so that you get to five minutes out from the start with an elevated heart rate. Take your last swigs of water, peel off excess warm clothes if you’re wearing them, get in position in the start chute, and enjoy the National Anthem! You’re ready to race.